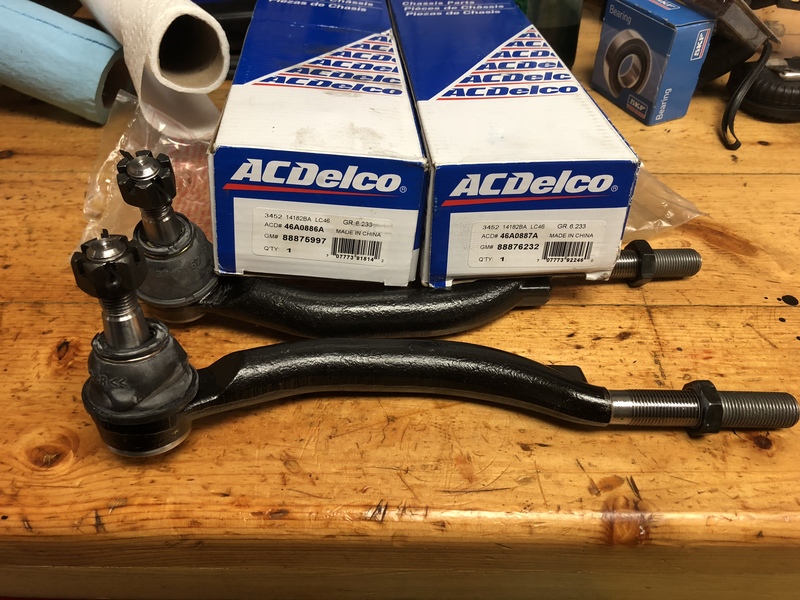 Hey guys I have a set of new AC Delco Advantage outer tie rod ends for sale. They are the 16mm tie rods. My truck has the 14 mm tie rods. They have been sitting in my cabinet for about a year. I paid a little over 30 bucks each. I’ll sell them for 45 bucks and I’ll cover shipping. Last edited by CHEVELLE598BB on Mon Apr 02, 2018 5:08 pm, edited 1 time in total.